Montana students and parents facing higher education costs have a couple of resources available to ease the financial burden of attending college in the state. The Montana Higher Education Student Assistance Corporation (MHESAC) is a non-profit organization that helped students find loans under the Stafford Loan Program, and other federal initiatives that required borrowers to enter into contracts with private lenders. Today, most loans of these types are issued directly by the Department of Education, through the Federal Direct Loan Program, While groups like MHESAC play smaller roles, they are still active in the current student loan system, helping borrowers lower interest rates and improve repayment terms. Student Assistance Foundation of Montana (SAFMT) is another advocate for students seeking college funding in Montana. The nationally recognized non-profit links students with resources that help them succeed in college. Profits from SAFMT loan servicing operations are redirected into efforts that include grants and other programs supporting higher education. Montana’s Choice Stafford Loans promise no loan fees and increasing interest cuts for consistent timely payments. Borrowers willing to set up repayment as automatic deductions from their bank accounts will receive another small reduction in interest, as well. Montana’s Choice PLUS Loans allow parents to borrow for college tuition costs. Similar interest reductions and incentives for prompt payments exist, as those present in the Stafford program. Parents qualify with credit standards that are a bit more relaxed than some mainstream commercial loans. 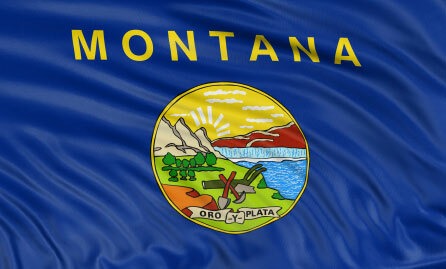 Montana’s Choice Graduate PLUS Loans are offered to graduate and professional students. Once again, interest rate reductions and prompt repayment benefits provide incentives for the loan package. Under the previous federal student loan program, states would designate primary resources for residents looking for reliable information about available financial aid. MGSLP served this role in Montana for thirty years, until changes to the way federal student loans are administered decreased the need for loan-servicing intermediaries. Guarantee agencies still play roles on the financial aid landscape. MGSLP continues to improve access to higher education for financially needy college students, and collaborates with campus and government administrators to create custom aid packages for students. The organization administers the MUS Honors Scholarship and the Governor’s “Best and Brightest” Scholarship Program. Federal Loans are eligible for several repayment plans, each designed to accommodate unique student situations. Conventional repayment is not always in the cards for graduates, so income-based alternatives create manageable payment structures that keep them on track. Under the federally-backed repayment plan, a percentage of net income is designated for student loan repayment, facilitating on-time payments for students whose incomes lag. Graduated repayment structures are also available, which offer low payments at first, and then catch up later with larger monthly payment requirements. The approach allows payments to grow at the same pace as personal earning power. Grace periods and deferments are in-place during certain periods of a loan’s life. The standard six-month grace period, following graduation, allows students to establish gainful employment, before repayment begins. Economic hardship, and other individual limitations sometimes qualify for deferments that put loan repayment on hold. Montana students and graduates with more than one outstanding federal loan qualify for a government initiative that allows them all to be combined under a single, renegotiated loan. By bundling debt, borrowers realize greater convenience – paying only one bill – but also benefit in other ways. Lower interest rates and favorable repayment terms are built-in to some consolidation loans, providing lower monthly payments and better rates for some borrowers. The bottom line for student-borrowers: Avoid default, at all costs. Properly managed student debt provides credit-building opportunities for young borrowers who need it most. Loans that are allowed to slip into default create long-term credit problems, which are often avoided through consolidation and loan repayment renegotiation.